After two years intensive R&D and field-testing, the product Liver CleanTM is ready to be launched in the market! Detoxifying the pigeon’s liver is extremely important to maximize performance . Liver Clean TM It is a natural product based on herbs, and available as either liquid or as powder. Such a situation can leave the pigeons feel tired and reduce it’s immune defence system, and may prolong the time needed for recuperation after sickness, medicine cures and after hard races! 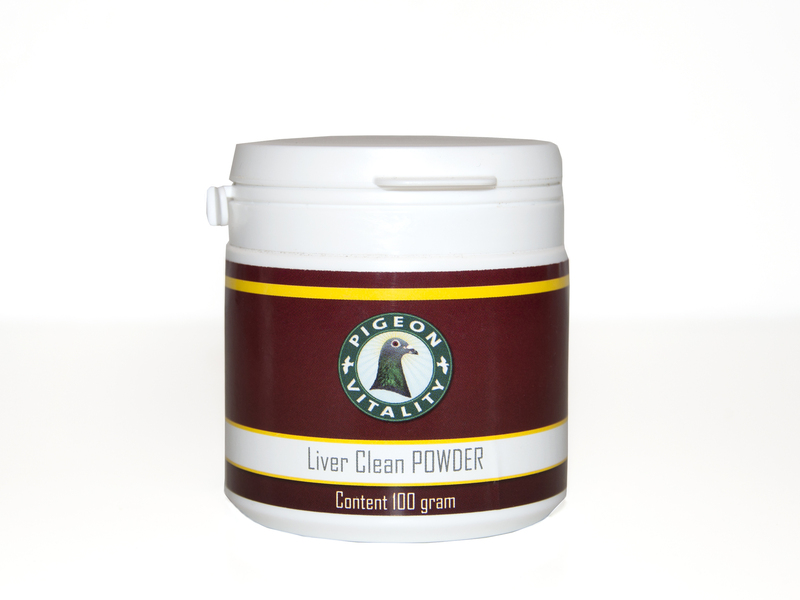 The Pigeon Vitality Liver Clean (powder or liquid) cleanse the liver by a detoxification process in 2-3 days. Speeds recovery, faster recuperation after race! Uitsluitend over het voer geven. Add measure level (1.6 gram) to 1 kilo grain and mix well (the grain can in advance be moistured by e.g. Omega 3). This grain mixture is given to the pigeons 1-3 successive days.